At freelancer.com, we have ranked millions of bids. We are constantly improving our recommendation engine and many of you may have already noticed these changes. The purpose of this post is to explain how our ranking and matching algorithms work across the platform. Our ranking algorithm assigns a score to each of our freelancers. This score is based on multiple factors and is personalized based on the employer's preferences, the project’s requirements and skills. Bidlist for each project: It is important to note that ranking for each project is customized for the employer. Further, the freelancer view of the bid list does not reflect the actual ranking which the employer sees. Why is Ranking important for you? 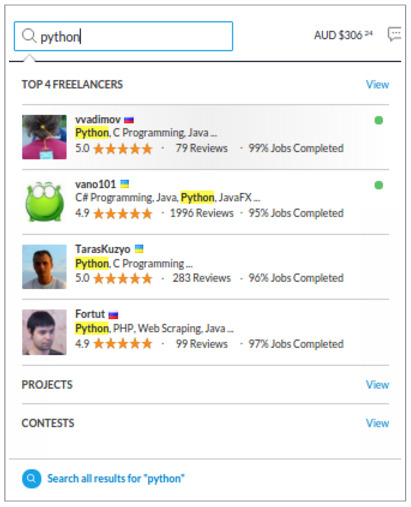 Freelancer.com continues to be the leading freelancing platform in the world. Having a good rank on our platform is an asset - it ensures that as a freelancer, you will always have projects to work on. Employers only see 8 bids per page. As a freelancer, you absolutely want your bid to appear on the first page. Many of our freelancers are also directly hired by employers. 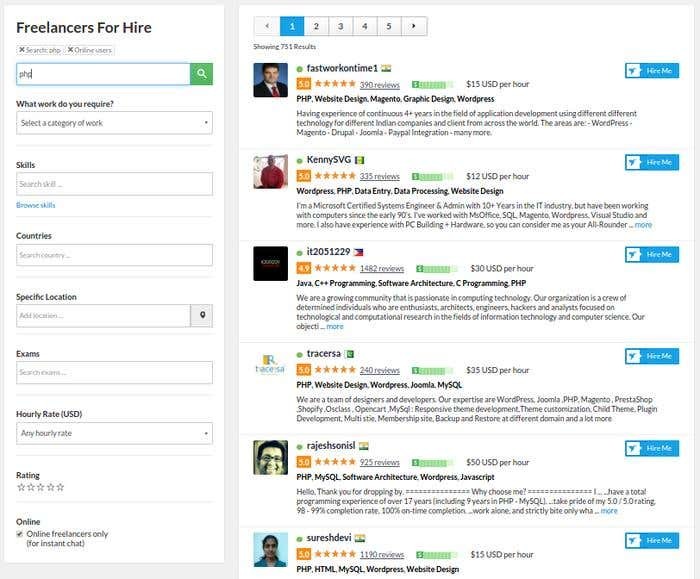 Employers discover freelancers from our Directory or Search. Your chances of being awarded increase significantly with your rank. If you rank among the top few on a project, your chances of being awarded is far greater than freelancers who don’t. Employers rate freelancers across five categories. These five categories are Quality, Communication, Expertise, Professionalism and Hire Again. 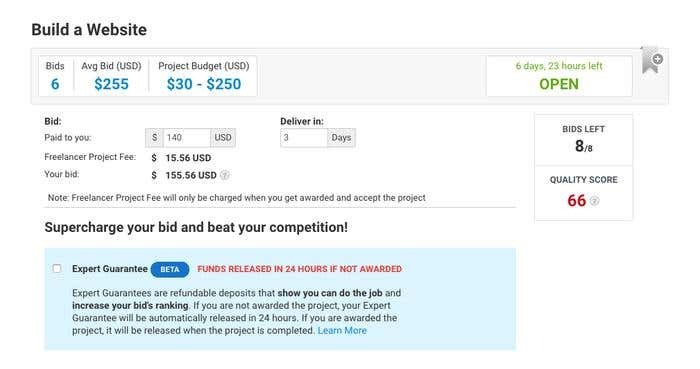 Additionally freelancers receive an 'On Time' and 'On Budget' rating. 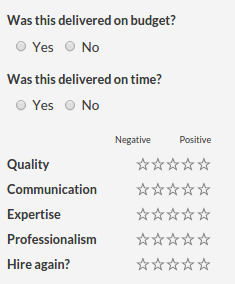 It is critical to get a positive rating across all categories. A “No” or a “Negative” rating on any parameter can severely hurt your rank. Recency of Employer Feedback: Recent reviews are exponentially more important than old reviews. This is a crucial aspect of our ranking algorithm. A recent glorious review can earn you a massive lift in our rankings. A recent rating that is negative on even one parameter can set your progress back by weeks. This implies that a recent 4 star review can potentially hurt your ranking. Number of Reviews: The more successful reviews you receive, the higher your score. Our system rewards experience. Size of past projects: The amount you have earned per project, while earning a positive rating, is taken into account. This system is nonlinear. Thus, a small increase in your average earnings can earn you a disproportionately higher lift in your score. Quality of Reviewer: Reviews by more experienced employers are given more importance. Working with the milestone system is the easiest way to improve your ranking across our platforms. Amount: The total value of all milestones that have ever been released to you. The more you earn using milestones, the higher your ranking. Frequency: Working more often with milestones improves your ranking significantly. Thus, the greater the number of projects where milestones are released to you per week, the higher your ranking. Total Paid Tracked Hours: The total number of hours that you have tracked using the Freelancer Desktop app, which have been paid. Paid Tracked hours per project: Average number of hours tracked per project, which have been paid. Not all factors improve your score. Some factors hurt your ranking as well. 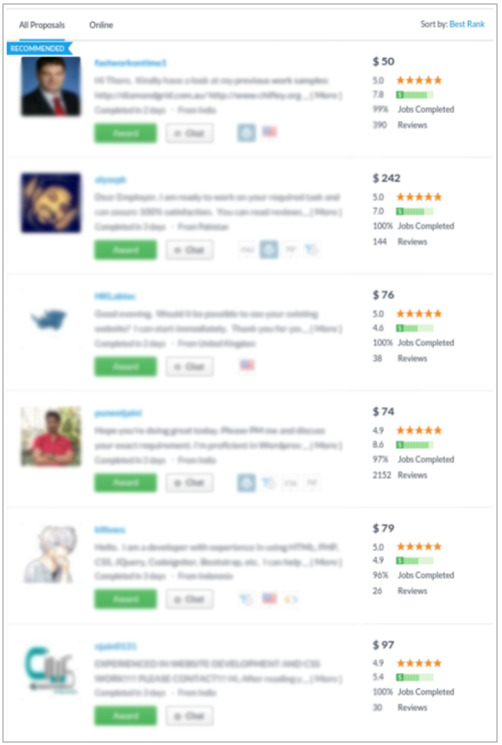 Early milestone releases combined with employer complaints can severely hurt your ranking - i.e. if you have requested release of milestones before work was completed, and the employer reports such behavior to us. Accept Rate: Having a high accept rate is one of the easiest ways to boost your rank. Repeatedly rejecting projects after bidding can lead to incremental penalties. Responsiveness: The faster you respond once an employer sends you a message, the higher your ranking. Spamming employers: Repeatedly sending unnecessary messages to employers to solicit work when there is no active project between you and the employer can attract a penalty. Offsiting: Attempts to take communication offsite to other messaging services can attract a massive penalty. We randomly screen messages for blacklisted terms. If caught, you can even attract a permanent ban from the platform. Profile Marks: We mark your profiles based on their quality. Maintaining a good profile is extremely important for your ranking. We understand that many of the factors above require consistent good performance on our platform, over a long period. However, a significant proportion of projects are awarded to new freelancers everyday. It has never been easier to find work online, and at Freelancer.com we are committed to make it easy for anyone to freelance online. Bid Early: Can’t get to the top? Bid before the others do. Early bidders consistently win more projects since it increases their chances of interacting with the employer. Proposals: When you place your bid, make sure you write a good proposal. Our analysis clearly suggests that copy-pasting generic proposals reduces your chance of being awarded. Proposals that are relevant to the project description are orders of magnitude more likely to be awarded. Sponsor Your Bid: Found a good project? Sponsor your bid! Sponsoring your bid ensures that you are on the top of the list and have a very high chance of interacting with the employer. Membership: Being on one of our membership plans gives you access to more projects. Members are eligible to bid on projects that have a higher likelihood of being awarded. Exams: Our scoring algorithm incorporates your scores in our exams. Completing exams is the easiest way to give your score that small boost that is needed to improve your rank. The tips above are equally valid for our older freelancers who are looking for ways to improve their current ranking. We feel these tips are specifically helpful for freelancers who are finding it difficult to win projects because of recent bad performance. Over 8 million projects have been posted on our platform and we crunch these numbers daily. We have multiple algorithms running at any time that determine the best freelancer for each job and for each employer. At Freelancer.com, we are changing lives everyday. We are committed to building a fair and transparent platform, where employers and freelancers can seamlessly find the best people they want to work with. We hope that this article will be useful for our freelancers.